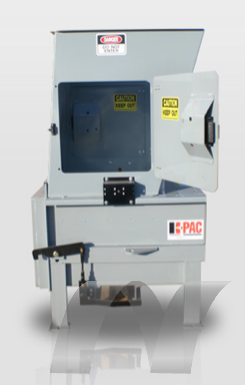 When space is limited, turn to the K-PAC “MINI Series” stationary compactor – the packer that is designed to do BIG jobs in tight spaces such as trash and recycling rooms of office and residential high-rise buildings as well as apartments requiring chutefed applications. Moreover, when you need a ground level, manual feed compactor, the KP03 is also your solution! This space-saving power-packer provides more compaction pressure with its energy-saving 3HP motor than most competitors’ 5HP motor models. Also, you don’t need to bring in expensive power because you can elect to run this powerful little compactor using 110 volt power and not sacrifice its packing ability which is just another winning feature.